Sophie Houser is a student at Brown University who learned to code at the Girls Who Code summer program. As her final project she co-created a game called Tampon Run with Andrea Gonzales to break down the menstrual taboo in society. 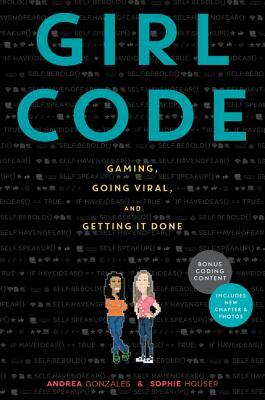 The game went viral, throwing her into the limelight of the press, the public, and the tech world. In addition to coding, Sophie also enjoys laughing with her friends, wearing socks with interesting patterns, and Photoshopping funny scenes. She is pursuing all of these passions as well as many more at college and beyond.